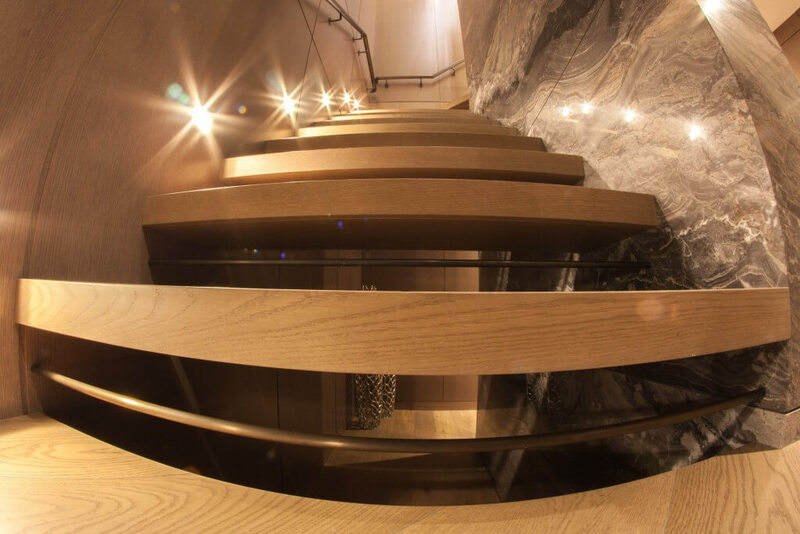 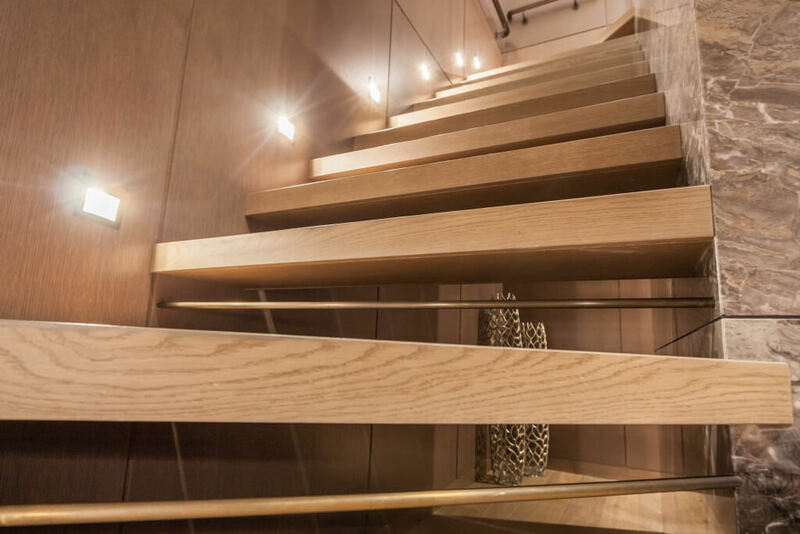 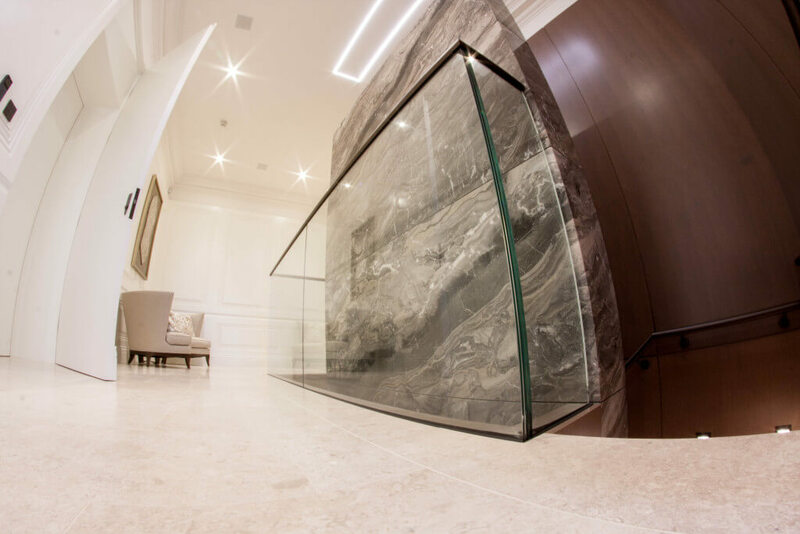 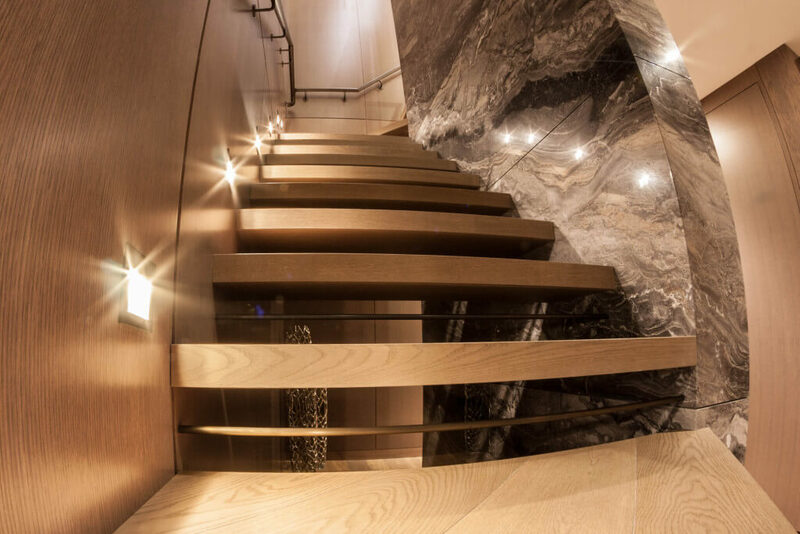 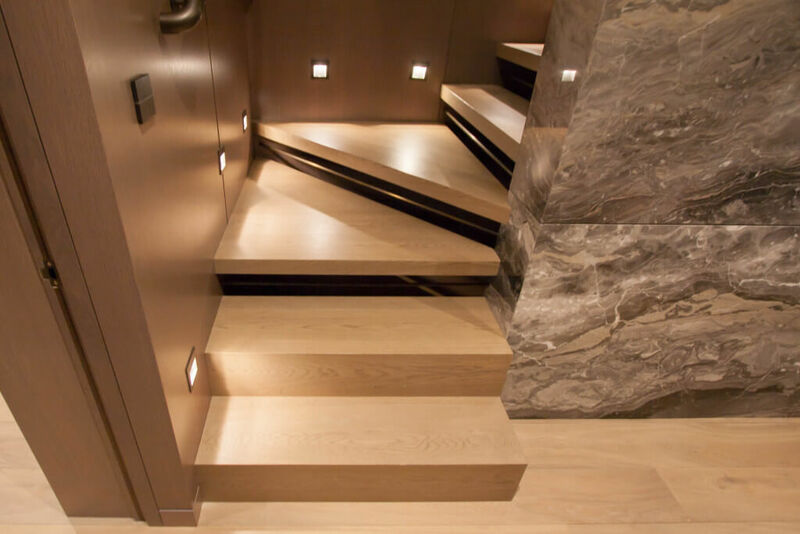 The project involved a new staircase with glass balustrade connecting the first floor to the second. 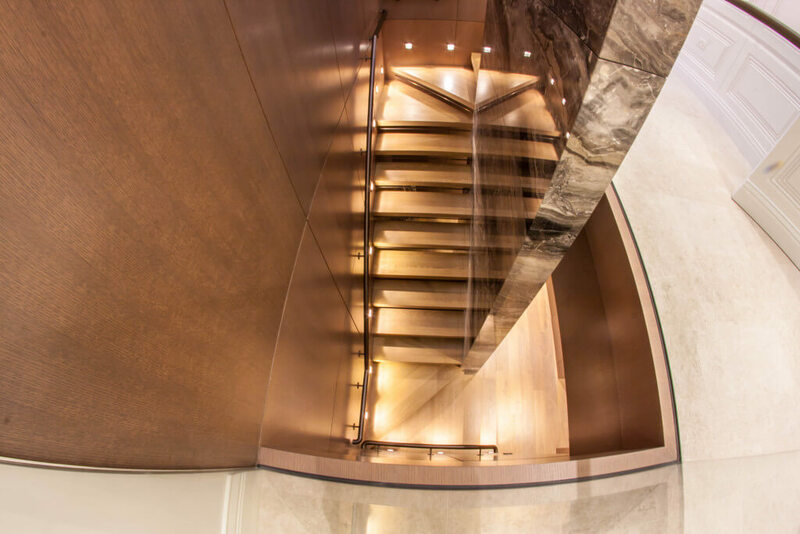 We wanted to go for an organic look while maintaining good stability, so metal was used as a construction material with wood finish. 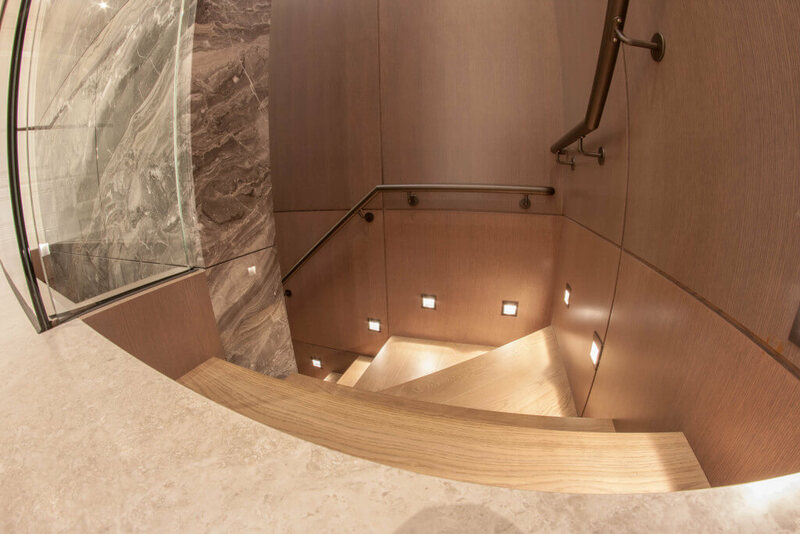 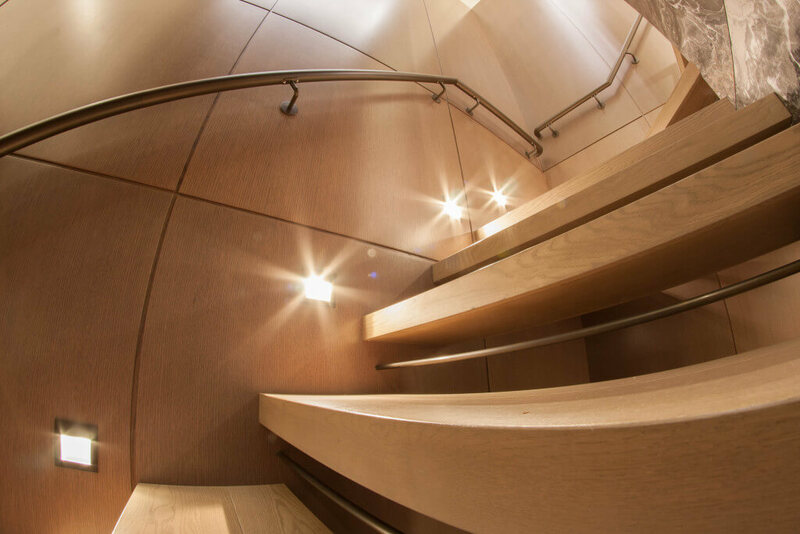 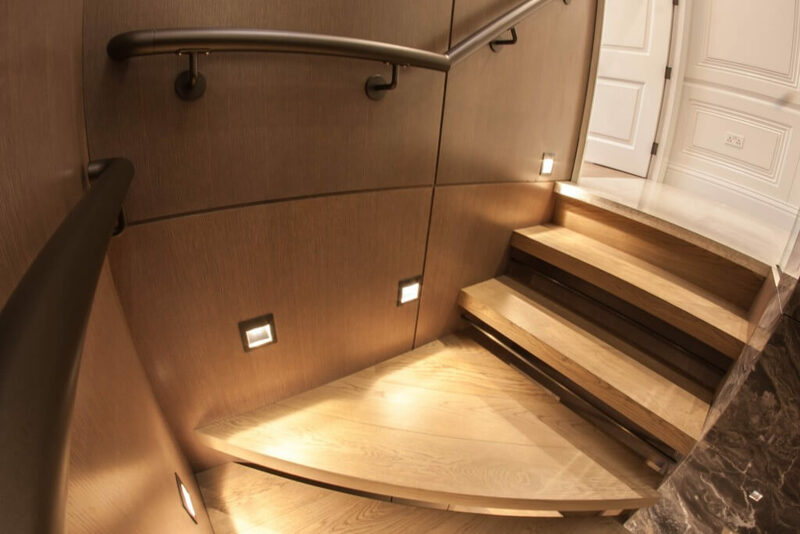 Glass mounted and wall mounted handrails were also added to the project, with faux shagreen used as wrapping for the steel handrail to further compliment that.